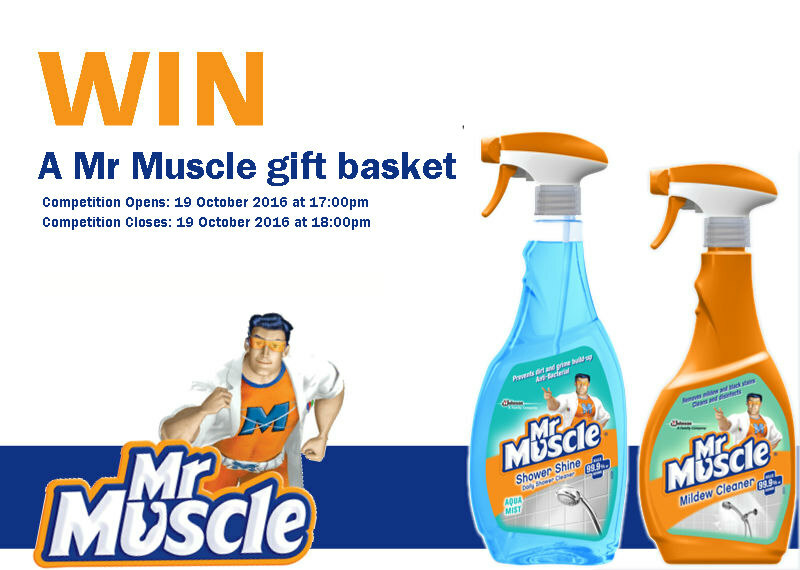 Win A Mr Muscle Product Hamper. 2.1. Entries for the Competition will open at 17h00 on Wednesday, 19 October 2016 and will close at 23h59 on Thursday, 20 October 2016 (Competition Period).